The Green Kitchen makes custom made salads exactly the way you want. 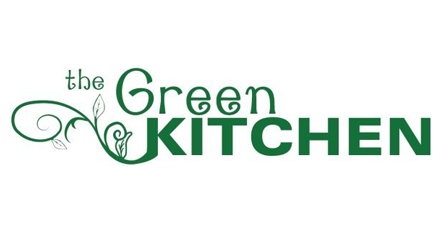 The Green Kitchen makes custom made salads exactly the way you want. Starting with organic spring mix, romaine, or spinach, choose from over 50 different fresh ingredients, from tomatoes, cucumbers and sprouts, to olives and portobello mushrooms, five kinds of cheeses, to freshly cooked white meat chicken, tofu, or beans. Try our homemade dressings for the most delicious salad you can imagine. Our gourmet sandwiches and hot artisan paninis are freshly made to order using the finest ingredients and homemade spreads. New to our menu are wraps - all of which are available gluten free as lettuce wraps on collard green leaves.